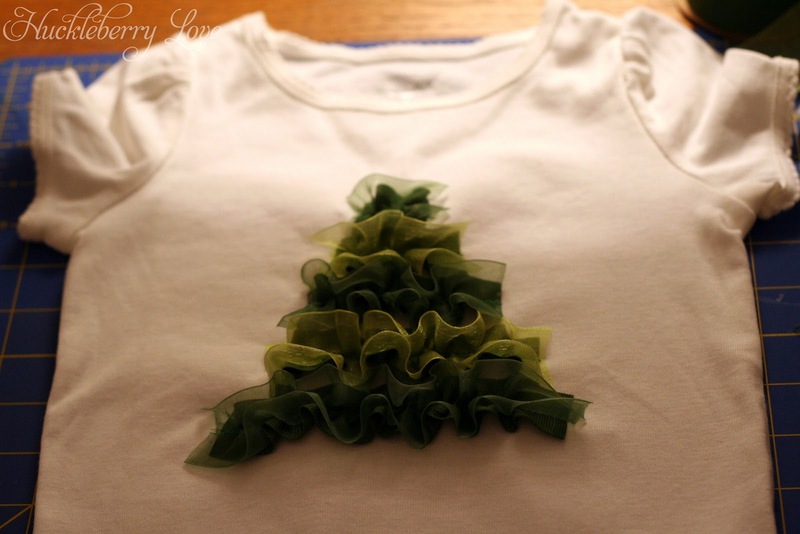 I decided to make my daughter a sweet little Christmas shirt that combined her two favorite things right now: Christmas trees and ruffles. She loves this shirt and calls it her "Pretty Tree Shirt". Nothing warms my heart more than when she adores something that I made her; it makes all the effort worthwhile! I love how this turned out and am so excited to share it with you. 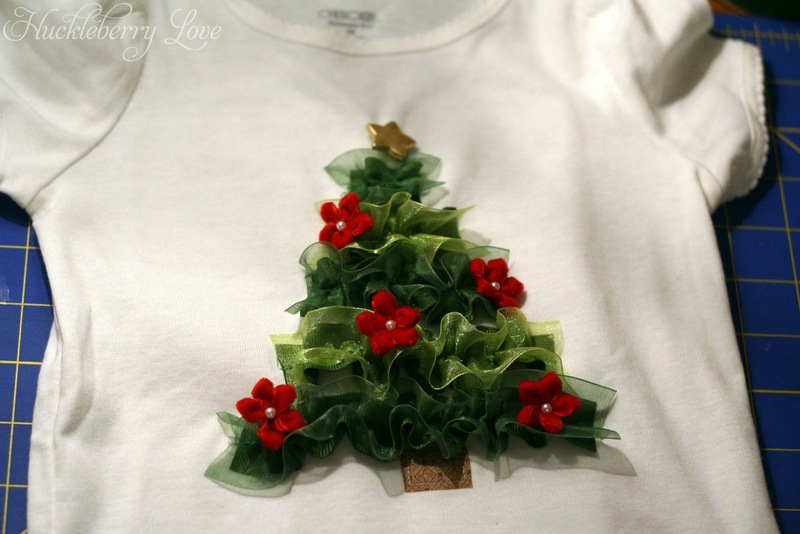 This same technique can be used to decorate a pillow or even turn a boring white apron into a festive Christmas one, so don't let yourself be limited to only a shirt! 1. Cut your ribbon. I decided to make my tree five-tiered with the bottom tier measuring five inches in length and the subsequent tiers all an inch less. It took me a few tries to figure out how long to cut the ribbon but finally figured that doubling the length gave me the nicest results. So, cut your solid ribbon into five pieces measuring 10 inches, 8 inches, 6 inches, 4 inches and 2 inches. 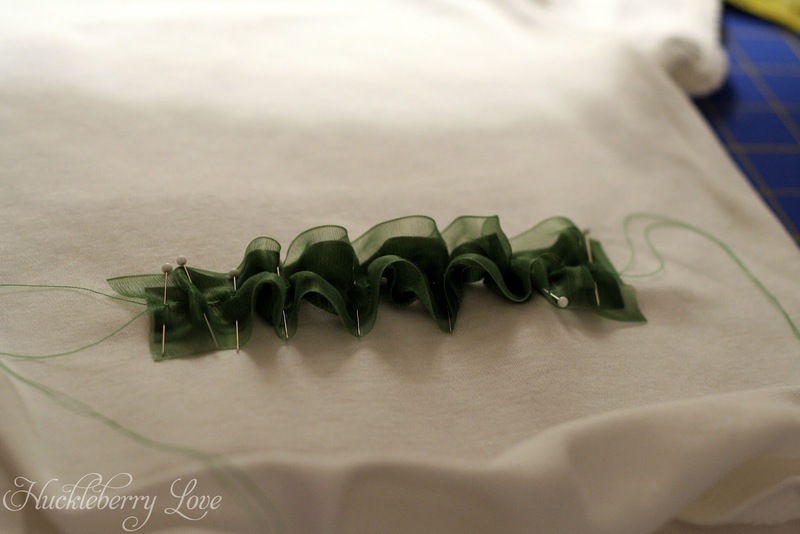 Next, cut your sheer ribbon the same length. I used two different shades of green and alternated the colors so be sure to cut accordingly. 2. 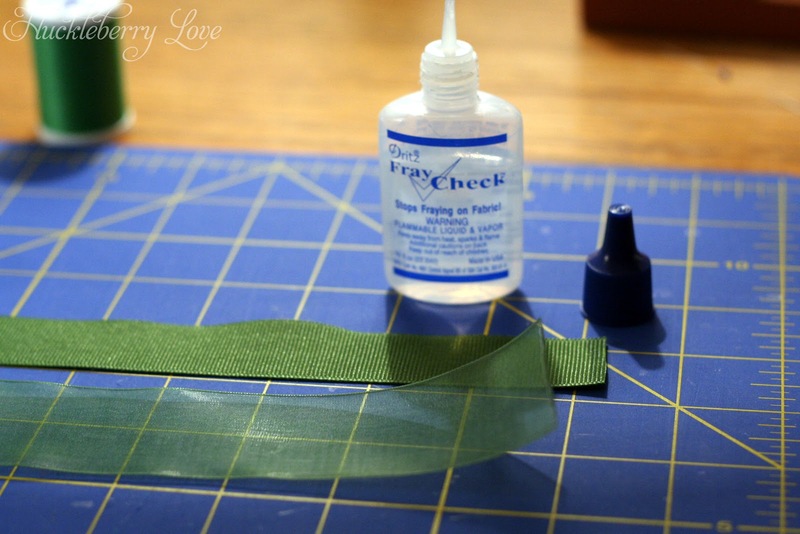 Seal the edges of your ribbon using either Fray Check or a lighter. 3. 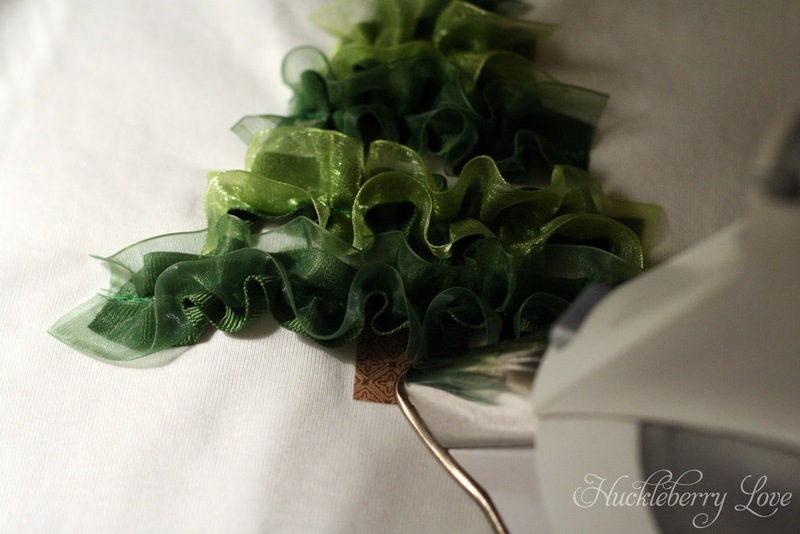 Pin the coordinating sheer ribbon on top of the solid green ribbon. Don't worry too much about the ribbon being exactly in the middle. You won't notice once you gather the ribbon. 4. 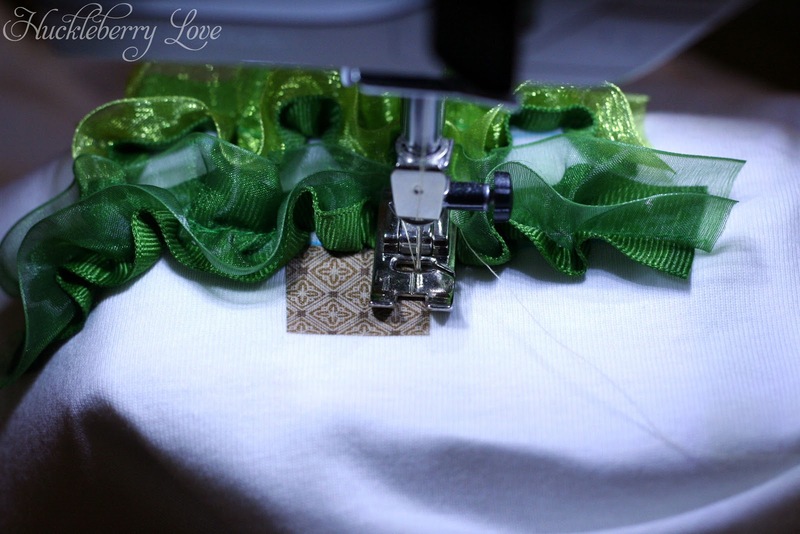 Set your sewing machine on its longest stitch setting and run your ribbon through the machine, keeping the stitch as close to the middle as possible. Again, no worries if it's not perfect. 5. 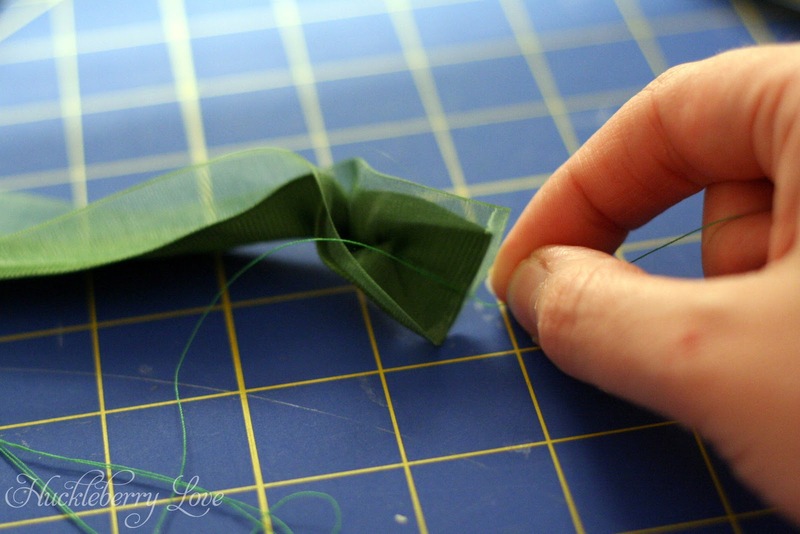 Gently pull on the bobbin thread so that the ribbon starts to gather. Gather it until the ribbon is half its original length. 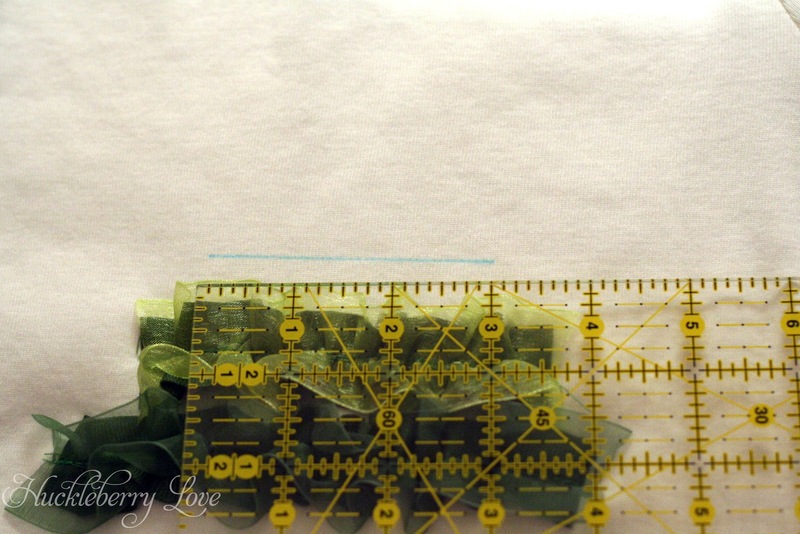 Go ahead and do this step for all of the ribbon lengths. 6. 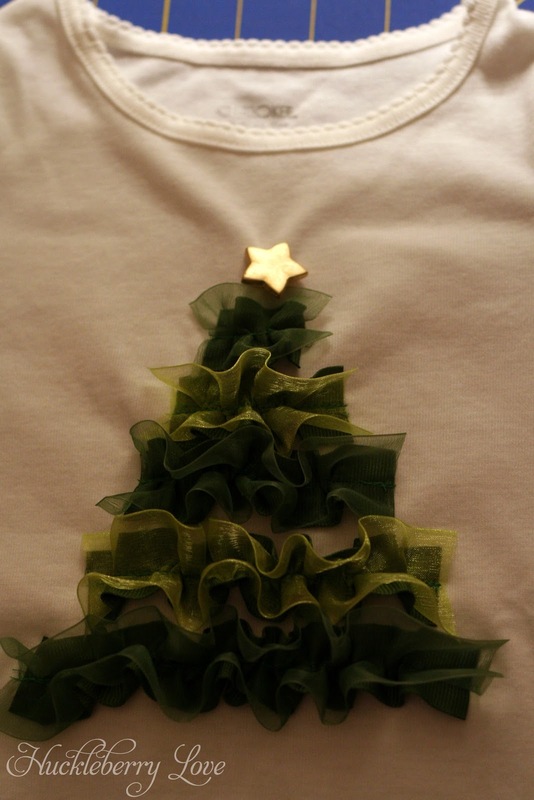 Before attaching the gathered ribbon to the shirt, cut out a piece of interfacing large enough to cover the area of the tree. 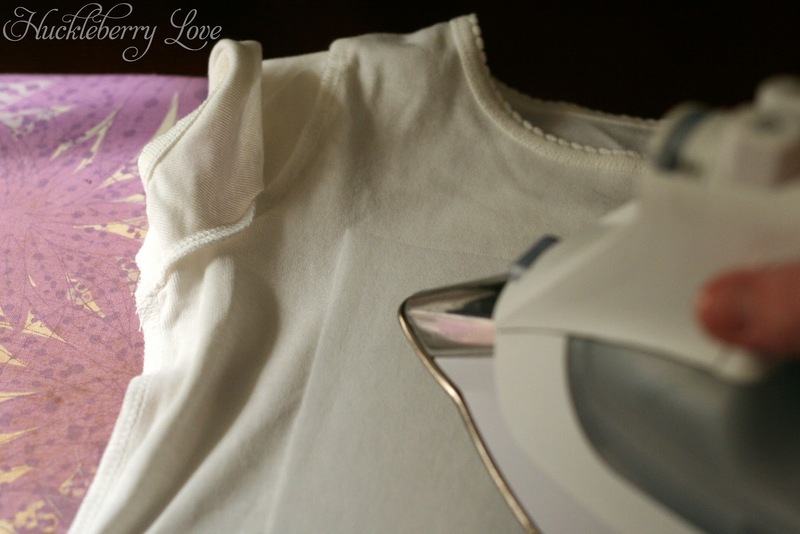 Turn your shirt inside out and iron the interfacing to it. 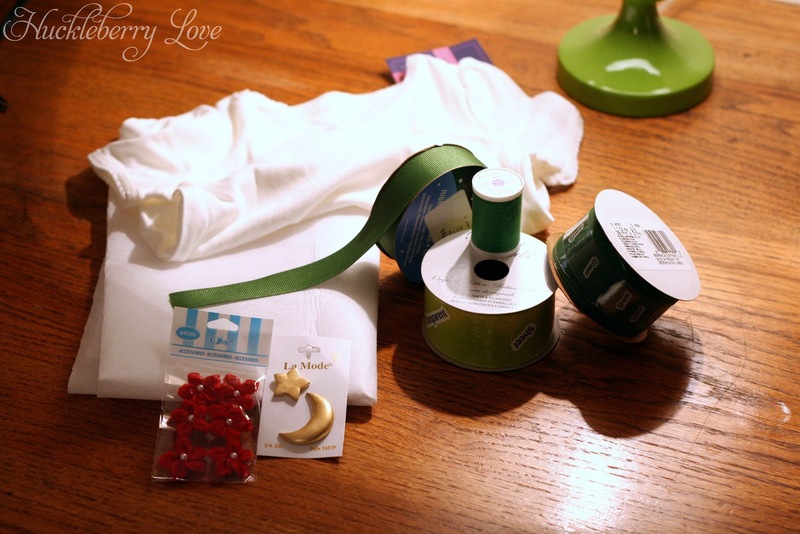 This will help stabilize the shirt and prevent it from stretching while you are sewing. Turn the shirt right side out. 7. 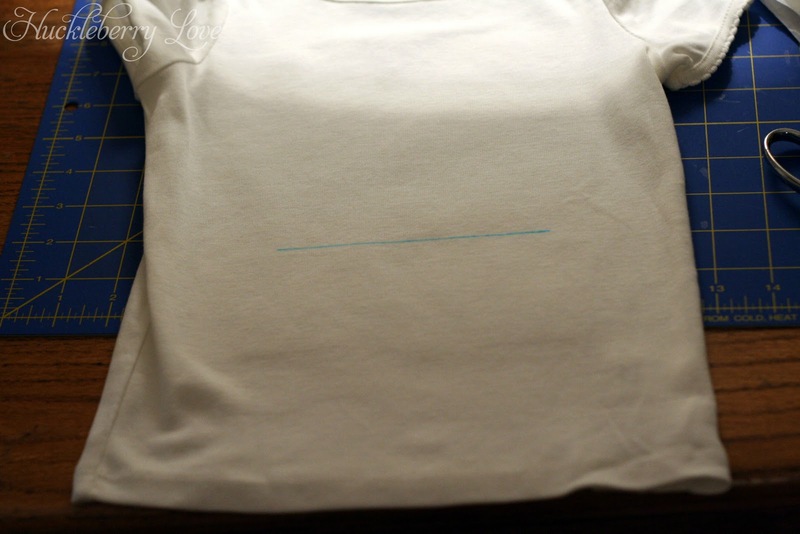 Measure about 6 inches up from the bottom of the shirt and draw a 5 inch line. Be sure that this line is in the middle of the shirt. 8. 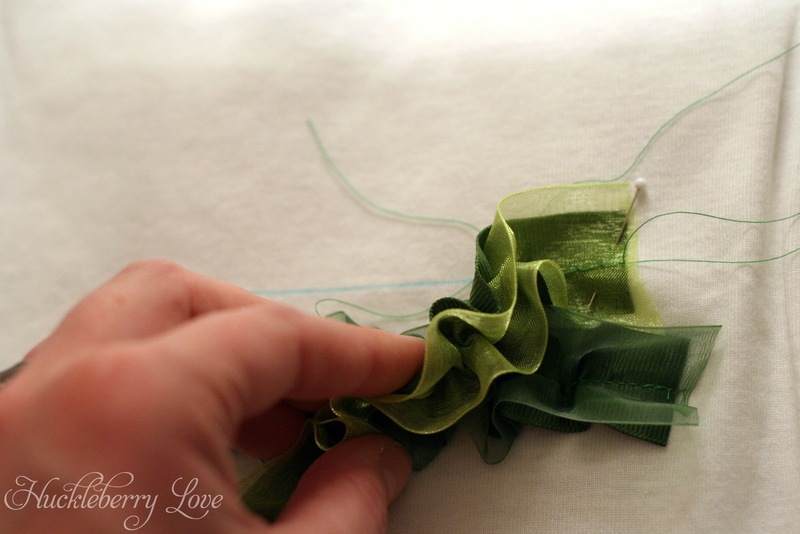 Pin the gathered ribbon on top of the line you just drew, matching the edge of the ribbon with the edge of the line. 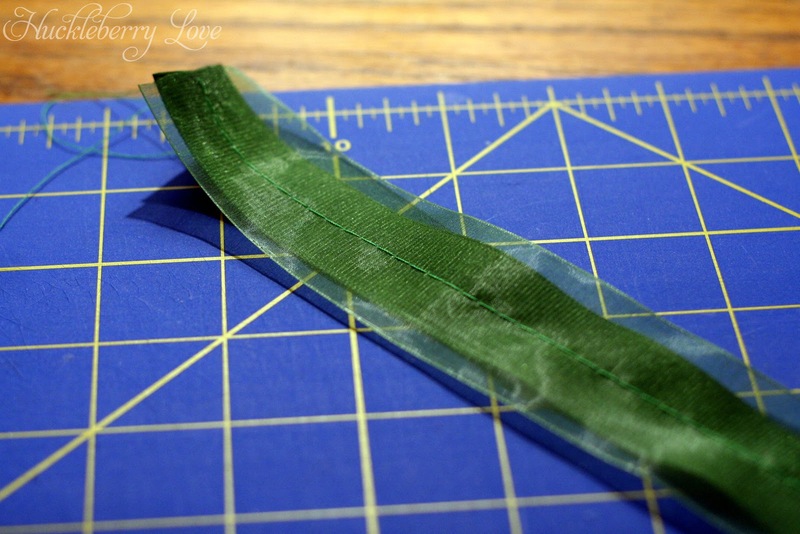 This ensures that the ribbon is the length you want it be. 9. 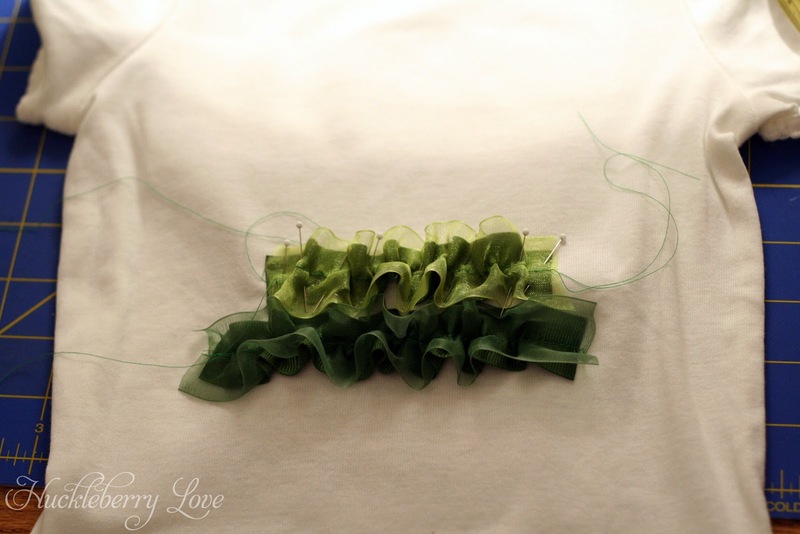 Sew the ribbon onto the shirt, staying as close to the middle as possible. 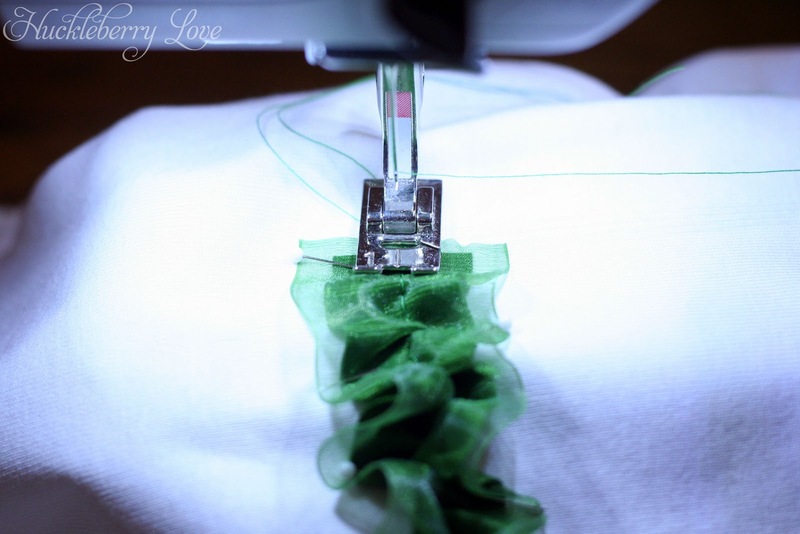 NOTE: Be sure to change your stitch length back to a normal length. Trim the threads. 10. 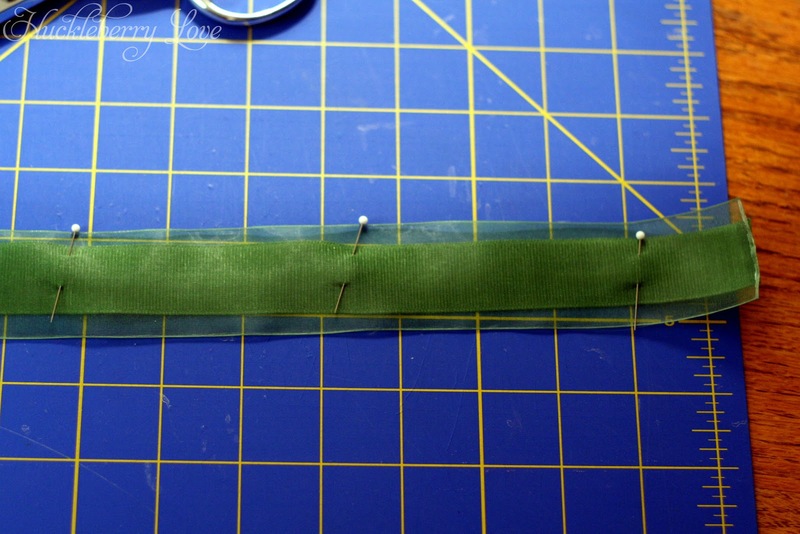 Next, draw a 4 inch line slightly above the 5 inch ribbon that was just sewn. Spacing between the two is not critical, just keep it same intervals all the way to the top so the tree looks even. 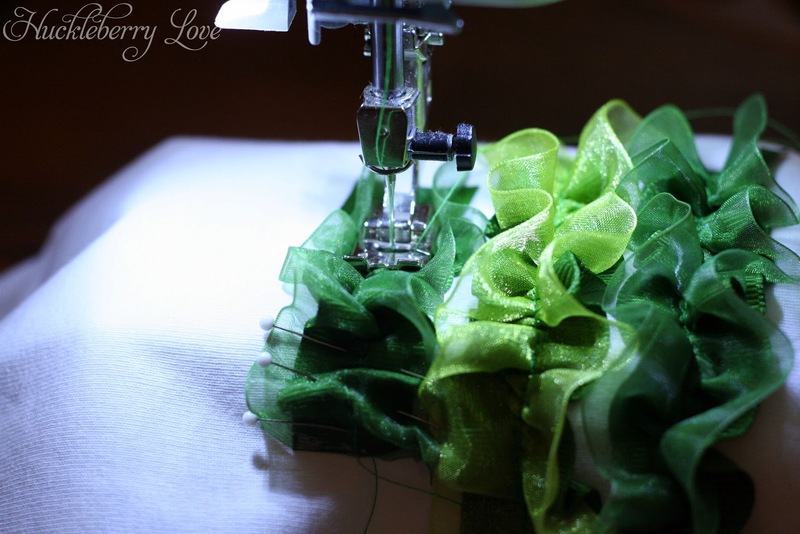 Lay the gathered ribbon on the second line and pin. 11. Sew down the second tier of the tree. Continue in this manner for the rest of the tree. 12. 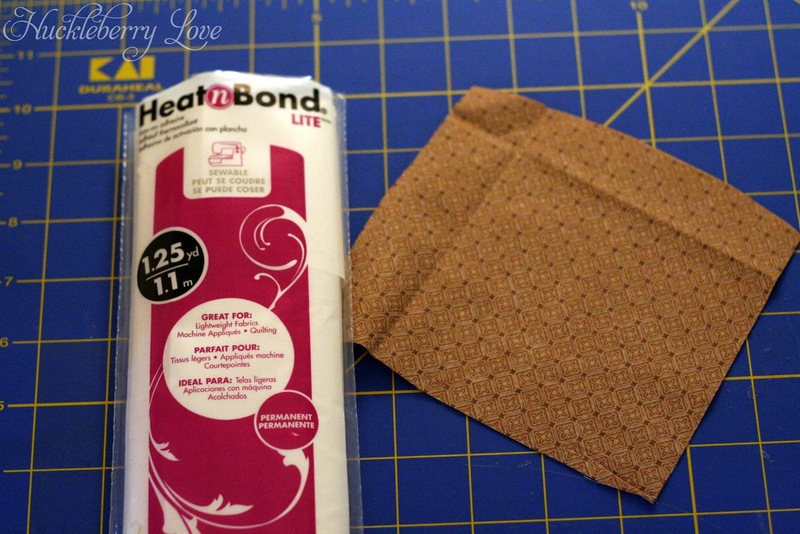 Taking the scrap of brown fabric, iron the Heat n Bond to the wrong side of the fabric. Cut out a small square measuring 1" x 1". 13. 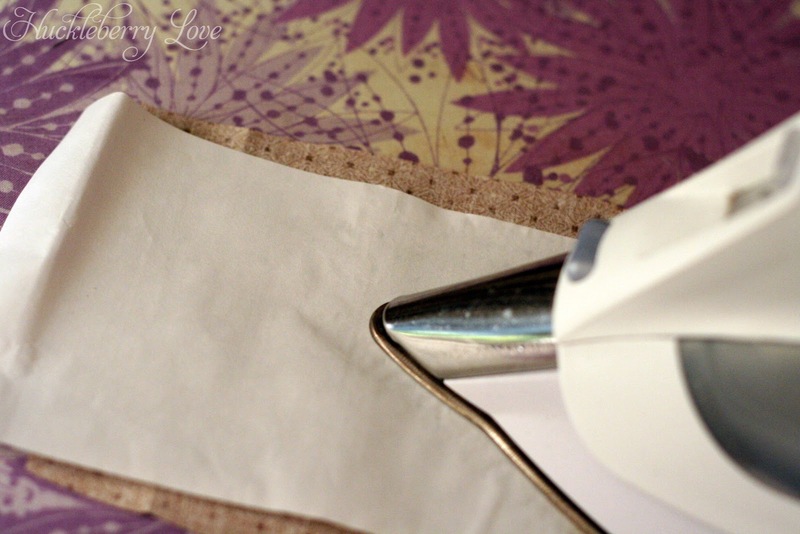 Remove the paper backing and iron the square down. 14. Sew around the edge of the square. 15. 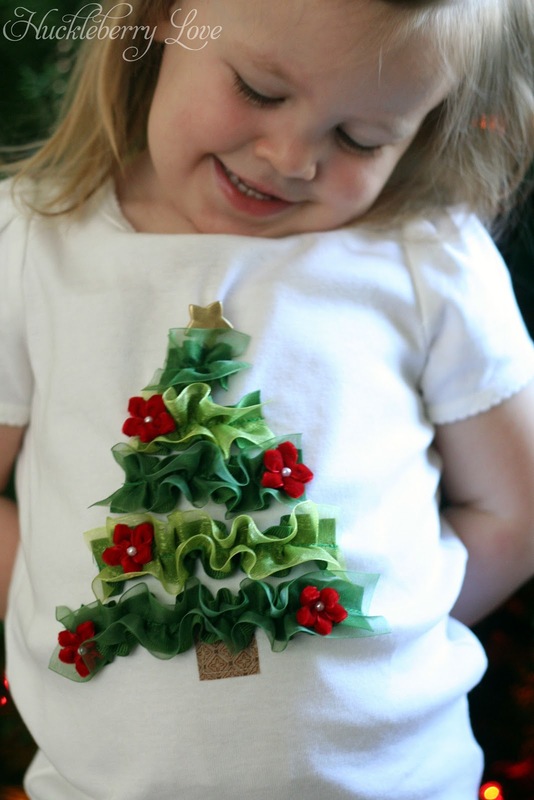 Place the star button near the top of the tree and hand-stitch down. 16. 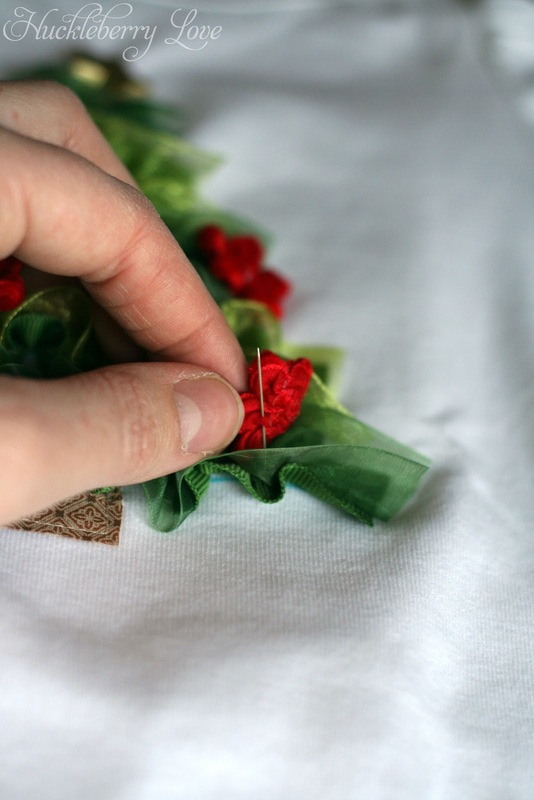 Arrange the flowers (or other decorations) and then hand-stitch in place. 17. 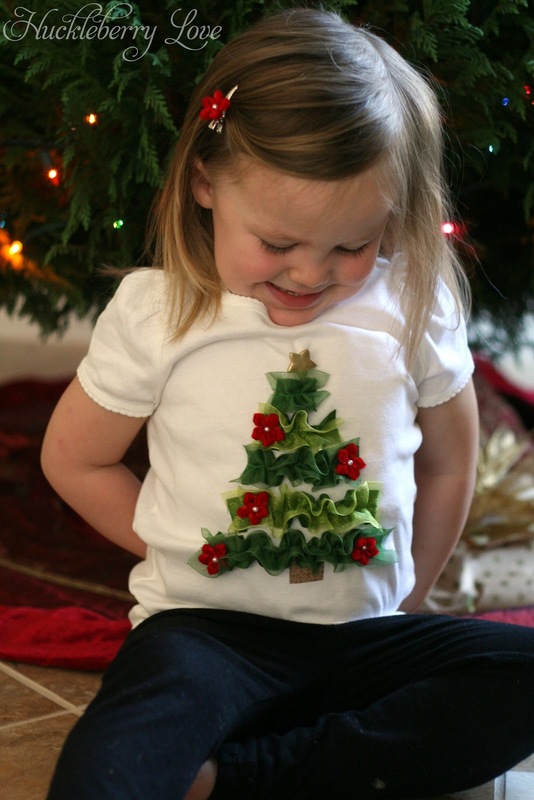 Put it on your little cutie and make some Christmas memories! 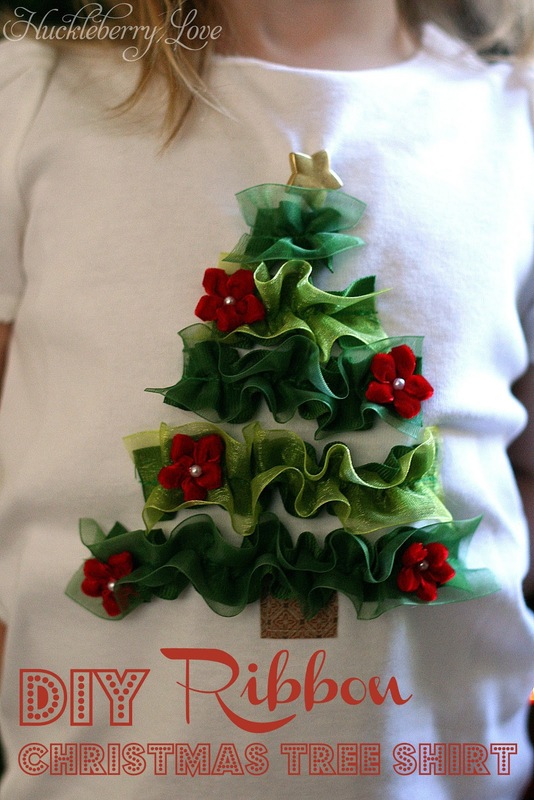 Now that my daughter is ready for Christmas with her new shirt, I can concentrate on wrapping presents and baking goodies for friends! What about you? 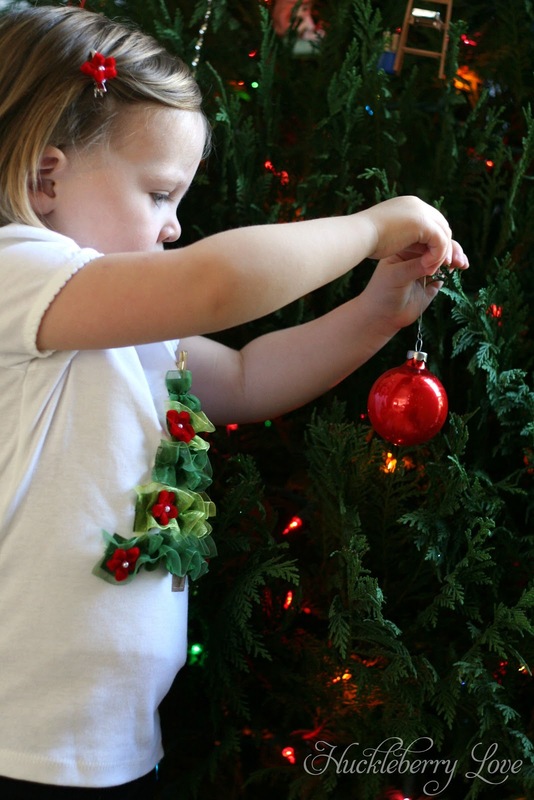 How are you getting ready for Christmas this week? 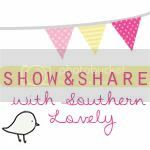 Linking up with House of Hepworths. Wow! Lydia I love this shirt! Great tutorial... If I had more time I would pull out my sewing machine, lol! LOVE, LOVE, LOVE! I'm so pinning this for next years projects! Thanks so much for leaving me so much love on my blog. I got to tell you I love everything I've seen here :) Keep on crafting, I'll be following! Hi there! I featured you on Blissful and Domestic today! Stop by and check it out!